Nestled in between Carillon Beach and Rosemary Beach! The New 30A! Amenities! Amenities! Amenities! 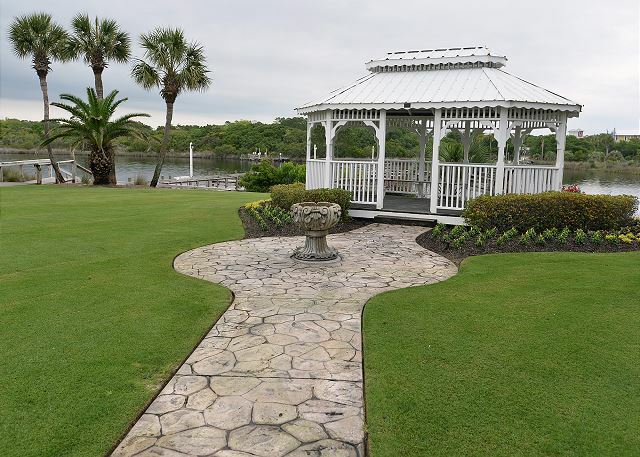 Multiple pools including an indoor pool, sauna, community room, game room, workout room,playground, fishing on Powell Lake and Gulf, horse shoes, shuffle board, tennis courts, and to many more to mention. 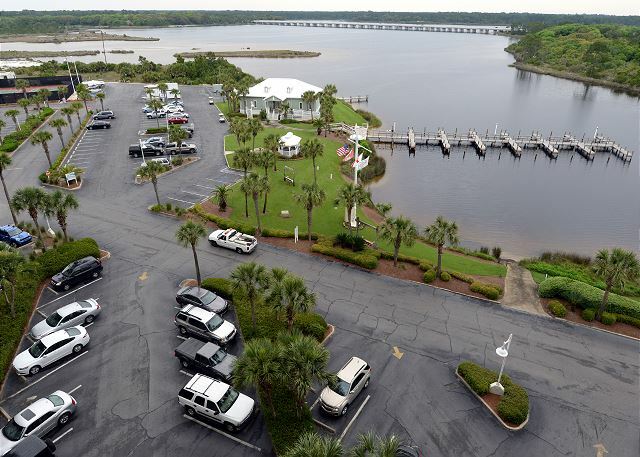 Pinnacle Port is off the beaten path, yet, close to all the attractions of Panama City Beach to do almost any activity that you could want. If seclusion and privacy is what you need this certainly is the place. 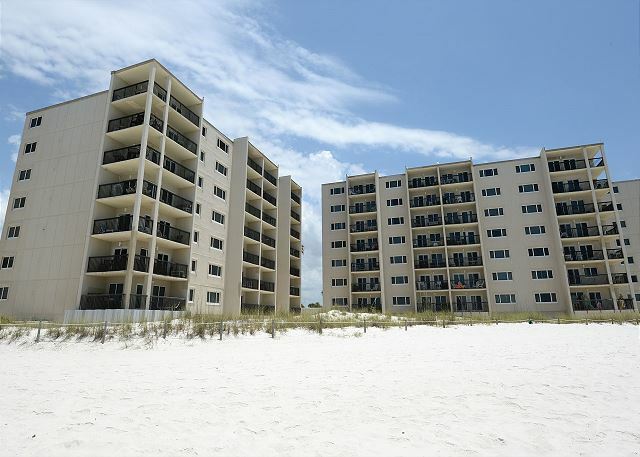 Beautifully decorated newly remodeled condo on the sugary white sands of the Emerald Coast! WIFI, new cabinets, freshly painted, new light fixtures, BRAND NEW FURNITURE and accessories, and the list goes on & on! It is a Gated community with 24 hour security. Living Room great views of the Gulf of Mexico that are just amazing! A full kitchen complete with all dishes and appliances and crock pot and BBQ tools for the out door grills . Dining room seats 8! Master Bedroom has view of Lake Powell flat screen TV. Living room has a flat screen TV and a DVD player with cable. The balcony has a table and chairs. Sofa has a queen size sleeper. Washer and Dryer included in unit.We provide a variety of restaurant menus as well as brochures on activities in the area. Just a short drive from Pinnacle Port is Pier Park, a wonderful outside mall, Gulf World where you can swim with the dolphins, water park, fishing excursion, wave runner excursions where you will flirt with the dolphins in the wild, snorkeling, or a boat ride over to shell island, go kart tracks, mini golf and full golf courses, exceptional restaurants, or maybe a short drive down scenic 30A where you will find exclusive homes, shopping that is incredible and dining that is first class. Destin is just a hop skip and a jump away where you can find shopping in 3 different outside malls, Bass Pro shop as well as dining! This is a no smoking unit. No pets allowed per the condo association. 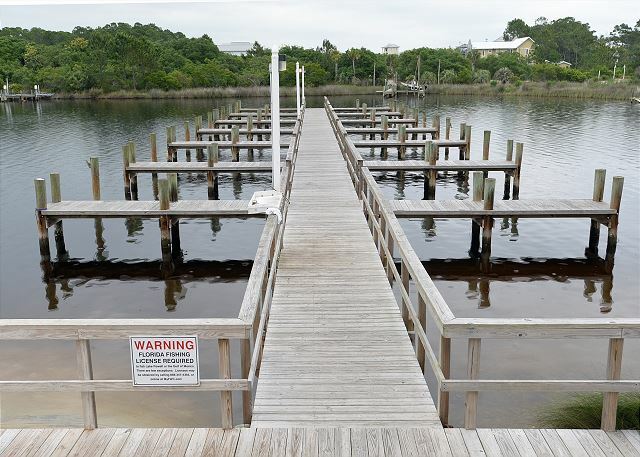 This condo was perfect for us, we love the quiet west end of the beach! If you want to get away from the crowds, this is the place for you! We had such a nice time during our stay. The property was very comfortable. The place was clean and equipped with everything we needed. The kids especially liked the bunk beds. I was so pleased with the internet and TV service. We don’t normally use that much on vacation but I’m taking some classes online and was worried about having a good internet connection. It was better than my service at home. We really enjoyed Pinnacle Port because there were so many things to do just outside our door- tennis, boat docks, basketball and the beach! Our condo had a lovely view overlooking the Gulf. 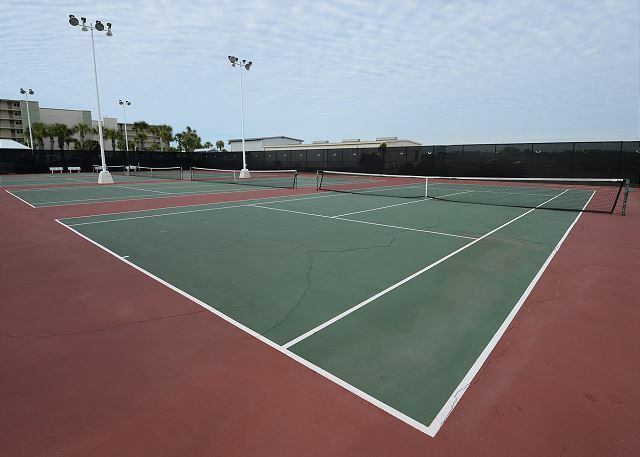 Pinnacle Port has an array of fun activities to partipate in. 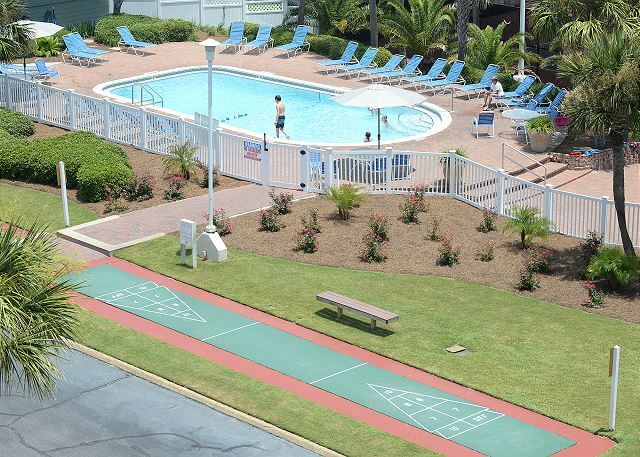 You can enjoy shuffleboard, bocce ball, pickleball, washer toss, swimming and so much more. Just west of our condo, is the pristine 180 acre Camp Helen State Park which offers trail walking and free concerts. 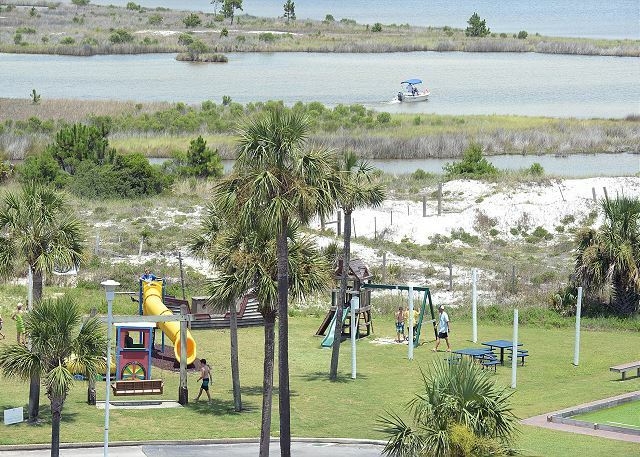 Pier Park is nearby which offers dining, shopping & amusement-style rides for the kids. Four Star Condo Services were very prompt with attending to a few needed repairs...Lonnie the maintenance person was great! One recommendation would be to update the linens/bedding...they're past the "gently used" stage especially the sheets. We would recommend this property and plan to return next January. This was our second stay at PP. We stayed in the exact same condo last year. 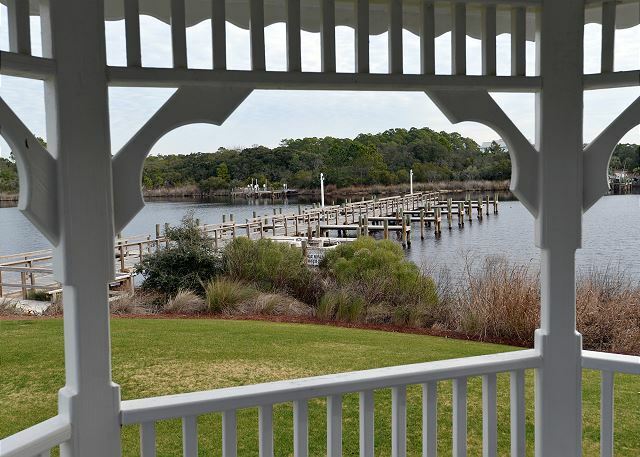 We love the location and the Pinnacle Port property. As I said in a review last year, the only complaint I have is the cleanliness of the condo. I feel it's an average cleaning...I still have to go over it when I get there. It's not terribly dirty it could just be given a little extra TLC. Overall, it is a nice condo with a great location on the 3rd floor. We truly enjoyed our stay in this family friendly condo. We have s big family and this was the perfect place for us! I was pleasantly surprised. The condo was more roomy than the pictures led me to believe. It was great for 3 of us. We absolutely loved this condo! It has been recently remodeled and it is just so cute and inviting. I liked that it had enough furniture to be functional but not so much that we didn’t have space for our things. We will definitely be back! The gated property was great and very secure and the homes were beautiful. The property had great swimming pools, fishing and family movie night by the pool. Although on a couple of evenings by the pool, a large rat paid a visit to many guest. It's also located right on the beautiful beach, which was awesome. The condo is beautifully decorated and was clean. There are a few suggestions that would make it even better. First, it advertises as sleeping 6, which it can, but there was only 3 washcloths and 4 towels provided as well as only 3 coffee cups (we noticed there were 4, but 1 had a huge crack). Next, there are no pot holders, no pizza pan, and no crockpot (as was listed in the ad).One of the main complaints in the reviews was that the TV's freeze and they do constantly and they were very difficult to get programmed to begin with. We could not watch any programs due to this on either tv. I'm not sure if this is an internet or cable provider issue. The furnishings were nice, but the pull-out was so uncomfortable (the foot was higher than the head and the middle was like laying on a metal bar). I suppose I would be more inclined to recommend this unit to a family of only 4. Pinnacle Port is now my favorite place to stay. We stayed right on the beach and the pools were right there too. I really liked entering through a gated community and driving through the beautiful neighborhood to get to the condos. Also, traffic wasn't bad at all, nothing like closer to Panama City. However, PBC was only 20 minutes down the road if we wanted what it offered. Publix and Winn-Dixie where right across the road. Our only issue was we are a family of four and they provided 4 towels. We had a great experience with Four Star! The condo was clean and the perfect location! We have stayed here multiple times and will continue to. We really enjoy PP and appreciate the level of professionalism in the rental process. I felt the unit was in need of repair and upgrade. It was very dirty upon arrival. There was sand everywhere and very dusty. It appeared to have not been cleaned but only picked up. We enjoyed our stay at Pinnacle Port and loved being right next to the beach. We had a great view from our balcony and were just steps away from being on the sand. We spent a lot of time walking the beach or just sitting and enjoying the surf (beach chairs were provided). Pinnacle Port itself offers a lot of activities and the people staying there were very friendly. The decor inside the condo is mainly blues and whites, giving it a beach vibe. Most everything we needed was provided. We didn't spend a lot of time watching TV but found the cable/satellite system frustrating to use, as the picture would sometimes freeze multiple times during a program and require rebooting. Everything else was in good working order. There were two grocery stores close by and many restaurants. Camp Helen just down the beach/road was fun to visit. 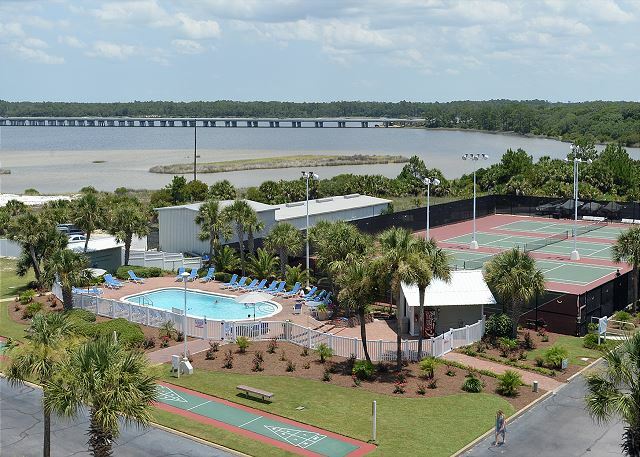 We rented a condo on the Pinnacle Port property because we are previous owners of a condo in Pinnacle Port. 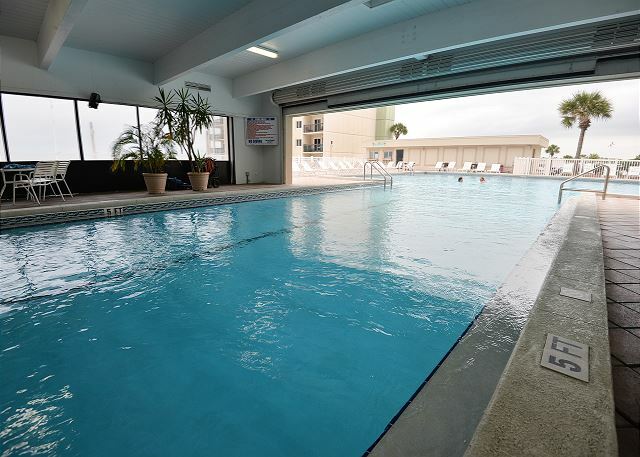 We are familiar with the amenities and we wanted to stay there cause we knew what to expect. I have to say the condo itself was cute and had been redone tastefully. We had family staying in two other condos on the property who had rented through Windham so we all arrived the same day. We found out as soon as we arrived that the cable service on the property had been changed over Labor Day and that only one tv was hooked up and the service came and went. I called Harry with Four Star and made him aware of the fact we only had one tv and that one was constantly buffering. He said he wasn't aware of a change in their cable service and he would call the owner and call me back. He never called me back about the tv. My family in the other two condos were refunded $400 for the inconvenience of having no tv. We went to bed that evening with our AC set down on 68 degrees but woke up at 1:45 sweating. I checked the thermostat and it still red 77 degrees. I knew then we had an issue with the air so I called and left a message for Harry so he would be able to call me first thing in the morning. When I got woke up I called him again that morning and he instructed me how to reset the thermostat over the phone and once that didn't work he said he'd send someone. I callled the property mantience and had them come look at it. They said they couldn't fix it cause they didn't manage it but if I couldn't get it taken care of they would be happy to try and fix it for me. Harry sent a HVAC company to look at it but he wasn't aware of how to work on or fix the type of system in our condo. It's a system ran off of cold water not freon. I spoke to Harry a few times after this and got no where. Our entire stay was HOT. The property ac man said the subsystem was 40 years old and needed to be replaced. We would have been more comfortable in a Holiday Inn that had AC and TV. We thoroughly enjoyed our stay at Pinnacle Port. The location is perfect for families looking for a quiet get a way. We loved not being right in Panama City with all the crowds of people & traffic. Condo could have been cleaned a little better, but overall it was very nice & cozy. Fortunately, I didn't have to deal with the staff of Four Star, since we didn't have any problems, but as far as booking through them, we didn't have any issues at all. We'll definitely book again! Clean, easy access to the beach and pools. Great stay. We had a great time over Memorial Day weekend staying in this condo. Decorated very cute and very clean. Nice balcony that gave more privacy than others, with a great view of the gulf. We love Pinnacle Port in general and would definitely love to stay in this unit again on future trips!! My wife and I were celebrating our one year anniversary. We had a great time. 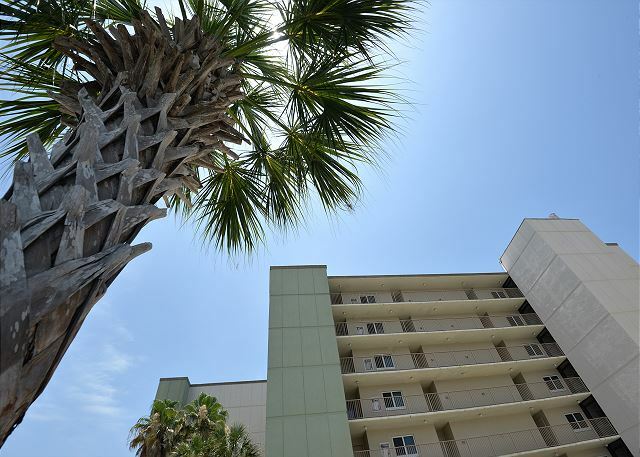 Unit is centrally located to Destin and PCB as well as right next to the beautiful 30A. Unit was clean and everything we hoped with a view of the ocean. The only thing I would say needs improved was the patio needs some love. The screen to the patio door was broken and the furniture outside needs some updating, it looks old and dirty. Inside was beautiful. My family stays here every time we vacation in Panama City beach . I love the closeness to the beach, literally out your door and down the stairs. The water for the buildings was being worked on while we were there ,and no hot water for one day , which was out of Managers control, and I was unable to locate a cooking pot or saucepan was the only inconvenience we encountered during our stay.Property Manager was very professional and detail oriented. We will look for this room next vacation. Everything exceeded our expectations! We've been coming to Pinnacle Port for 15 + Years and this was one of our favorite places Ever! The easy beach access was great compared to our stays in the towers. 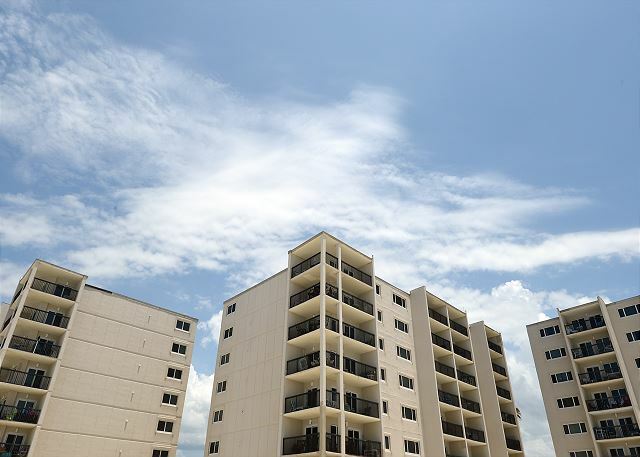 Great condo with a beautiful view! Very comfortable, in location that is quiet. Nice to have cable at night, would definitely stay here again. Thanks for sharing your home with us. In an off season week, this condo complex and beach were perfectly quiet...exactly what we needed for a week long vacation. 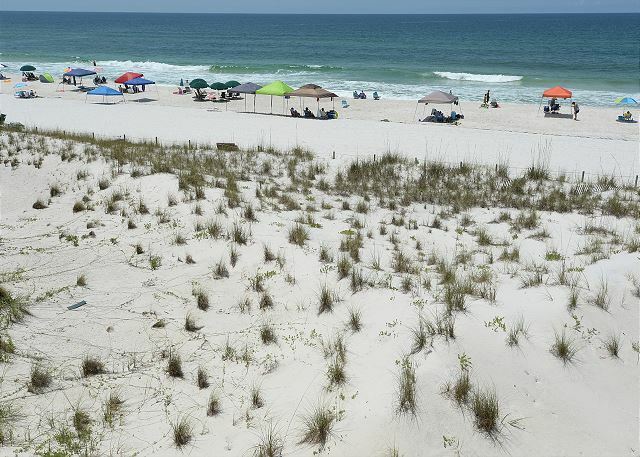 The location was central to both Panama City Beach and Destin. The size of the beach, I would probably not recommend for the busy season, but it was plenty during our stay. The condo, itself, was clean and quiet, with the right amount of necessities for two people. Would definitely return in the future. This is our favorite unit to stay in at Pinnacle port. There are only a few things I could suggest to make it a better stay. 1. A full size ironing board would be nice. 2. A broom most definitely. 3. Changing the key code for security reasons, we come several times a year and sometimes stay in a different unit, if other people do that and they remember the door key code then they can enter that unit when someone else is there. The world is full of dishonest people so I just think changing that code would be helpful. My kids and I really enjoyed our stay in this condo. It was very clean and comfortable. The oversized table was wonderful since we met other family and had dinner together almost every night. I would definitely recommend this to any family. We had a great experience at Pinnacle Port. This was our first time staying there and we will certainly be back. The beach access was very easy to get to. 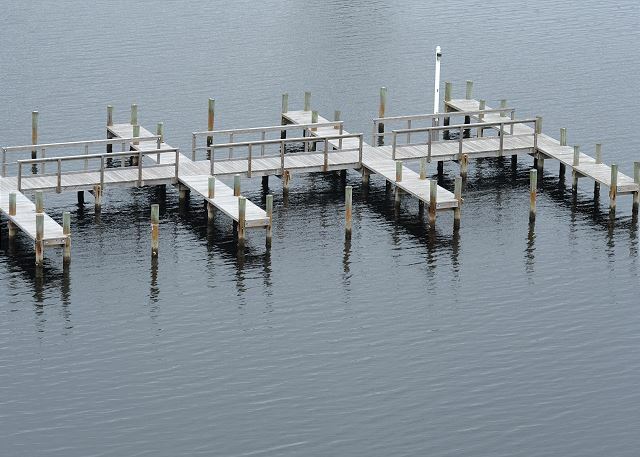 The boys loves having the pier to fish from. We loved our quaint little condo. It was perfect for us! We did have to unclog the bathtub because the water would take a long time to drain. We were able to pull a rather large collection of hair out and the water started draining just fine. We would love to get the same condo in the future.